Top contributor Uncle Dam had occasion to visit the Mediterranean island nation of Malta at the height of the spring season. 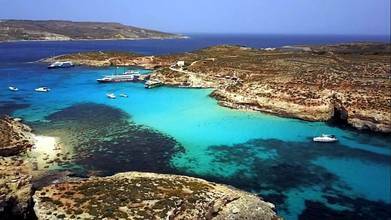 While there, he was able to create this spectacular aerial tour of the main island as well as the the surrounding islands Gozo and Comino. Malta was the filming location for much of Season 1 of Game of Thrones; the initial King's Landing location was the ancient walled city of Mdina in the center of the main island, which you'll see at the :50 mark. Description: Our next trip took us to the beautiful island of Malta. This small island in the middle of the Mediterranean is a perfect place to visit during Spring time. Visiting many popular sites inland, also on the surrounding islands Gozo and Comino, was a great ideal getaway. This small island although on first glance looks like a deserted place, actually holds many wonderful places, unique to this place only. Definitely a place that should be on the top of your bucket list. Here is our 'Malta Experience'.